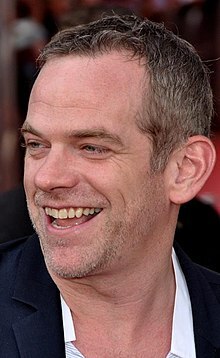 Pierre Garand (born 26 June 1972), known by his stage name Garou (a diminutive of his last name "Garand"), is a French Canadian singer from Sherbrooke, Quebec. Garou performed the Jean-Pierre Ferland song "Un peu plus haut, un peu plus loin" (A Little Higher, A Little Farther) at the 2010 Winter Olympics opening ceremony in Vancouver, British Columbia. He has also performed at the charity event Les Enfoirés for the past 13 years. ^ "Garou". Rfimusique.com. Retrieved 2012-02-17.